At almost 69 I do not find much comfort in thinking of the past. For most of my life in K Hell (Kuala Lumpur) there was much Hell….a roller coaster that consumed me to the max…fade in and fade out of too many episodes of my life…. quiet like the Beatles “Helter Skelter”…and I am glad that it is all behind me. I do not know if I can face K Hell again at this period of my life. So many memories ….this time all good…all of a time long past….songs that can still move me today to smile, to joy and to a celebration of a life lived well and to the max…and I am truly grateful that for a few years of my life in the 60’s, when I was in London, the Beatles lived there with me. 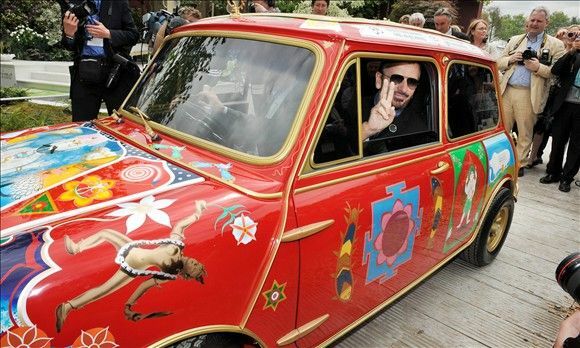 Maybe…just maybe…I might have glimpsed Ringo go past me in a Mini Cooper maybe not. But I was in London when Hey Jude came out. I was in London when the Beatles launched APPLE…in London when they gave their Roof Top concert. Life was good then. Better now!